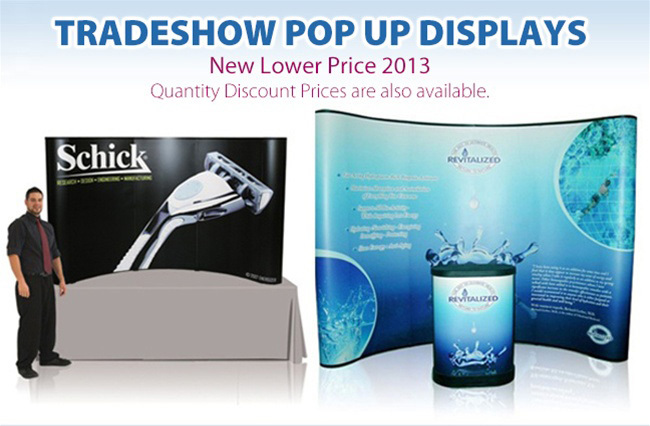 justClickprint Online Print Publishing & Graphics Shopping Center - » Pop Up Displays var admin_url = "http://www.justclickprintonline.com/wp-admin/"
We offer a full line of promotional and trade show items including apparel, booths and stationary. If you don’t see the item(s) you’re looking for below then please contact us directly to get pricing. You can submit your own art or we can custom design it for you, including formatting your logo for embroidery or 1 color imprinting.